When a plus size woman Googles “plus size and pregnant”, within a few minutes she’s flooded with articles that often convince her that she’ll develop all kinds of complications and will definitely have a cesarean birth. Are there increased risks of being plus size and pregnant? Yes, and I believe it’s important we’re aware of these risks so we can learn how to reduce them. It’s also important women know that just because there are increased risks, doesn’t mean they will automatically fall victim to them because of their size. It’s also important to note that even if women do develop complications, they shouldn’t be made to feel ashamed. Sadly, articles like the New York Times piece Pregnant, Obese, and in Danger only perpetuate plus size pregnancy misconceptions and the notion that women’s bodies are incapable of having healthy outcomes. This is harmful and untrue. When the pregnancy website, BabyGaga, shared their article 20 Problems of a Plus-Sized Pregnant Women I was curious to read it. Yet, within the first few paragraphs it was apparent this would be yet another article full of fear mongering (and that’s why you won’t find it linked here but you can easily find it via Google – just consider this your trigger warning even though what you’ll find is a revised version of the original). These articles are harmful not just because they mislead women with plus size pregnancy misconceptions but because of the emotional toll experienced by women reading such negative and unsupportive information. There are not that many resources for plus size women who are pregnant. As a former follower of BabyGaga, I enjoyed their content until they posted such a fat phobic article. It reeks of shaming plus women and telling US what our bodies are ‘capable’ & not capable of. What upset me most about the article is the fact that not every plus size woman knows that the things they were saying aren’t entirely true, but exaggerated. I was infuriated to read that women were saying how they were thinking twice about having children. That’s wrong! The BabyGaga article addressed 20 risks that women might (but it reads more like will) incur during a plus size pregnancy. For example, “#19 Fatal Pregnancy Complications – Pregnancy comes with its set of risks, but unfortunately, the life-threatening medical issues that are a risk to the mother are the reality for some women. These complications include pre-eclampsia and blood clots.” It is inflammatory and downright irresponsible to make plus size women feel as if they have a high risk of dying during pregnancy. PLEASE SHOW US STUDIES TO BACK YOUR CLAIM! And in fact, that’s the problem with this article and so many others like this one. They use scare tactics but don’t offer science to back their fear mongering. Even on the rare occurrence that statistics are used, they are nearly always presented in a negative context. For example, BabyGaga shared this on diabetes (though I assume they were talking about gestational diabetes), “The risk of testing positive for diabetes in pregnant women stands at 5%, in some women who are overweight the risk is 15%. Diabetic pregnant women have an increased risk of delivering large babies which can lead to injuries during delivery.” We can easily flip the script and say that 85% of plus size women WON’T develop gestational diabetes. Then we can take things a step further and talk about the importance of good nutrition during pregnancy to help women reduce their risk of developing gestational diabetes. Encouraging women to connect with a size friendly nutritionist and have fun creating healthy recipe boards on Pinterest would be helpful tips. Stopping at telling women they are at an increased risk of gestational diabetes isn’t helpful. Websites like BabyGaga also scare women into believing they have a high risk of still birth when studies actually show only a slight increase of an already very low risk. This isn’t to say a risk doesn’t exist, because it does for all pregnant women, but it’s important information like this is presented in a delicate manner and not used to scare women out of having children at all. Plus size pregnancy misconceptions aren’t limited to articles elaborating and exaggerating plus size pregnancy risks, but also include the idea that women should be entirely dependent upon their care providers and follow their instructions regardless. Or, as BabyGaga’s article said, “take the necessary precautions your doctor prescribes”. The reality is that this advice is extremely limited and some women are left feeling rather hopeless, especially those who don’t have a size friendly healthcare provider. Truthfully, blindly following any medical practitioner can be dangerous, especially if they’re just as ill-informed about the reality of plus size pregnancy as BabyGaga. There’s so much more we can do to support and empower plus size women to have a healthy pregnancy! We need to address the increased risks in a compassionate manner so we can work to reduce them. It’s critical we talk about care provider bias against women of size and discuss the midwifery model of care (and doula support). We need to encourage women to make healthy nutritional choices and remain physically active throughout pregnancy. Let’s change the narrative of plus size pregnancy by calling out articles that are borderline fat shaming and completely unhelpful. Use their comment section and social media channels to say that shame is not an effective tool! The reality is that many plus size women have completely healthy pregnancies and beautiful births. I’m one of them because I didn’t allow articles like BabyGaga’s to lead me to believe that my body was broken. I worked hard to be proactive with my nutrition and developed a love for water aerobics. My “morbidly obese” body never experienced any risks and I gave birth on my knees in a hospital supported by my midwife, doula, and family. I’ve made it my life’s mission to advocate for plus size women during pregnancy and have become a childbirth educator because I know what it’s like to have a care provider touch my body with compassion. My story isn’t unique but by a simple Google search you’d be led you to believe that I’m an anomaly. 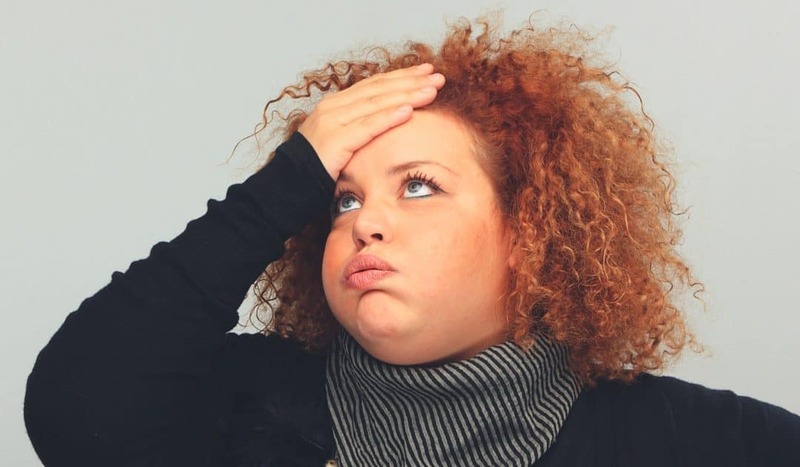 BabyGaga’s article does nothing but perpetuate the plus size pregnancy misconceptions that lead to emotional strife, stress during pregnancy, and increased risks due to unnecessary medical interventions. Let’s change that! Will you help me to stand up against these plus size pregnancy misconceptions on the Internet? It should be noted that BabyGaga went onto my website, plussizebirth.com, and stole a photo for their article. It was used as “#17 Frightening Stories” and the mother whose image was taken without permission was extremely upset. She shared her birth story, Not All Care Providers are Fat Shamers: A Birth Story, to talk about having a healthy pregnancy and being treated with compassion by her care provider. To have her face used as a tool to make women feel ashamed of their bodies during pregnancy was truly devastating. BabyGaga removed the photo and apologized for their unethical behavior once a lot of people demanded they do so via Twitter. Thank you for all of your activism to get the information to the women who need it. You provide such important information and are a resource that I always give to clients who will benefit from it. My births have been better for having access to the information you provide and I know I’m a better doula for it as well. Thank you so much Nicole for your kind words and using my resources as a supportive tool for your plus size clients. This is so useful. I plan to share it with everyone I know who is plus size and pregnant or considering child birth. Thank you for bieng a sane voice and such a passionate educator. Thank YOU Chrystal for all of your support!!! Thank you for sharing this! I was beyond terrified when my hubby and I found out I was pregnant. I have suffered in the past with many health issues, not weight relying might add. So I was fearful I might have a complicated pregnancy. I am very happy to say everything I have experienced has been wonderful. I am 25 weeks and I have had no issues. I do know have gestational diabetes, my blood pressure is 100s to 120s over 60 to 80. I actually haven’t gained any weight. My plus size body is NOT making it a hard pregnancy. I am proud to say I am plus size and healthy. Congrats Morgan! I’m so very happy for you and your family!! Your website has made a huge difference for me. I didn’t find it until after my first pregnancy. I am now pregnant again and feel so much more empowered and accepting of my body and what it’s doing. I think this community is a huge part of my attitude change. Thank you! Keep doing what you’re doing. …and now I’m getting a little teary! Thank you for sharing that Sarah and congrats on your growing family. I am a plus size girl. I gave birth to a beautiful and healthy baby girl in August. I gave birth naturally. Yes I had some complications but it wasn’t all due to my weight, when I was 8 months pregnant I lost my grandmother and when I was 9 months I lost my mom to cancer. Thus caused me to develop preclampsia. I did have to deliver 3 weeks early but my baby was just fine. Weighing 6 pounds 12 ounces. We both are doing great!!! Krystal I’m so very sorry for your loss of your grandmother and mother! You poor thing! Sending you love and strength. Thank you, once again for being our champion! We need to stop this fat shaming, especially to vulnerable 1st time moms and women ttc. We just need to keep educating and supporting each other. It’s my pleasure Victoria. I agree – shame doesn’t work. Let’s empower one another! I had incredible and beautiful pregnancy. Yes, I am plus size and had those things. I am here to show support and cheer on beautiful, strong,amazing bodies that create life. I refuse to be ashamed of all of the amazing things this body has and can do. I also refuse to be a bystander when others feel it is ok to treat anyone like they ate less tab because is the size of their body! Shame on the Babygaga for spreading hate!! I love everything you wrote Deanna! Thank you so much for sharing mama! This article and really the whole Plus Size Birth website and your advocacy are so needed and so empowering! The myths and stigma are upsetting to me (as a healthy plus size woman AND as I have seen the damage, both emotional and physical, it has done to my friends and my clients). I am 100% healthy and have had healthy natural, vaginal deliveries–with supportive care providers. I’m exhausted of society telling me to hate my body or fear being pregnant for health reasons or even just because I won’t have a “cute little baby bump” in maternity photos. It distresses me so much that I fear having a daughter one day, how will I help her to be strong enough to love her body, regardless if it’s thin or plus size or somewhere in between when we live in a society that preys upon us hating ourselves. Thank you–keep going on this uphill battle! We need you! And we need accurate information sans fearmongering and shaming! Thank you. Thank you so much for all you said within your comment Katrina! Wonderfully written Jen. I am so appreciative of the wonderful work you do. I am a plus size mama too. I was about 270lb when I birthed my son at 41w6d. No complications, no interventions. I was active throughout my whole 14 hours of labour at a birth centre. I asked to be left alone so I hardly saw my midwives until the last hour or so. We had a beautiful hands off water birth. My pregnancy was uncomplicated, no gestational diabetes, no issues with my blood pressure. I didn’t even get any aches or pains, even at the end. No sore back. Nothing. Wow! Not even a sore back?! Super mama! So happy for you and I truly appreciate your support. How tall are you? When did you start to show? I am really scared that I won’t show and I’m 270 lb and 5 ft 2. Thank you so much for being such a strong voice Jen! You are truly an inspiration. PSMM helped me tremendously during my pregnancy last year. 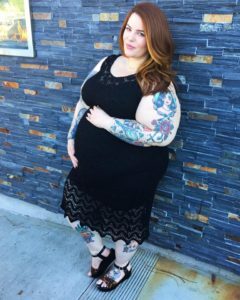 I am “morbidly obese” and was considered a high-risk pregnancy due to my weight. I did not have one complication during pregnancy. My body is not broken! We need to end this shaming! Plugging my wonderful body positive OBGYBN (Dr, Margie Maeder in Denver) who is fantastic! I’m so glad PSMM helped you last year Margo! Your body is NOT broken. I’d love to add Dr. Maeder to my size friendly provider list. Shoot me a message with their info. If it wasn’t for this blog – and you Jen, I would have been a big mess this pregnancy. I didn’t have bad care, but felt judged by people and some comments. I was sure that my weight would affect this child, and that I would end up with diabetes. Reading that Babygaga tripe made me so upset…the “reasons” were so insulting. The first reason not to get pregnant as a plus size person is you won’t get to wear cute maternity wear? People won’t be able to tell you are pregnant and rub your belly? Urg. The fear mongering with the health issues were so extreme and ridiculous I couldn’t even read them! My pregnancy was great – healthy and nearly textbook. I gave birth to an extremely healthy baby girl 11days ago. Thank you for your advocacy – it saved me many tears! …I just had some tears but they were all HAPPY tears from what you said. I’m SO GLAD you found my blog to be a source of strength. Your body is amazing. Congrats mama!!! Take good care of yourself and welcome to Mommy Land! Hi! I just recently discovered your blogs through searching. I’m a plus-sized woman myself, weighing at 197lbs currently and at 8 weeks pregnant. I’ve been waiting for this blessing for quite awhile now but I’m quite terrified because I’m heavier compared to the normal weight to get pregnant. Your blog is very helpful! I’m glad I stumble here and it’s glad to know that you’re not alone too. You sure aren’t alone Mary and I’m so happy you’ve found my site! So glad you found our resources! I am 8 weeks pregnant, and have been horrified cause of all the negative things I’ve read online about being plus size and pregnant. I am 5’4″ 212 and have been constantly worried If my baby is at harm because of my weight. I haven’t even been able to enjoy being pregnant. After reading this article I feel so much better and finally happy that I am pregnant! I am no longer going to look at my body in disgust wondering how my body can create a healthy human. I know I can! And I am beautiful! Cause all these beautiful strong women on here are so empowering! Thank you so so so much, this article made me cry. You are a wonderful person for being an advocate for plus size women all over the world. You are very much a blessing! Im ready for this now, bring it on! I’m so glad you found our website and hope you’ll join our community on Facebook! Tons of support for those who are TTC. I am a size 22/24 and 37. All my blood work came back perfectly & tho I already went into my pregnancy with *some* hypertension, it was well controlled with medication. I had a stillbirth at 24 weeks. There is no explanation. Having now lived it, I don’t think telling women that you WILL BE SAFER if you lose some weight is irresponsible– in fact, it’s the very opposite. I wish I had heeded the warnings more carefully and taken at least some of the weight off before getting pregnant. I don’t really follow all the reasons why this babygaga article pissed people off so much. Not everyone has a healthy plus size pregnant – and if you don’t – your life is at risk. (I did also have blood clots found post partem). People with half a brain should know to do their own research, consider the source, and make their own judgments with most “weight” being given to their medical professional. THANK YOU FOR THIS! I’ve been ttc for a little over a year after healing from my miscarriage from 2013 (mostly emotional and mental healing, I did beat myself up pretty badly over losing my first child). For someone who’s been plus sized their whole life, I’ve gotten, sadly, used to being “called out” for my weight. I feel like someone’s weight isn’t the main reason for illnesses and diseases but a byproduct of something greater (and sometimes worse), but because you can see someone’s weight, it’s usually the easiest thing to pick up on and to be told that if we “only lose 10% of [our] body weight” everything will be better. But it’s not always that black and white and it frustrates me to no end. I’d love to find a provider that will see ME and not my fat. Like, dude, I know I’m fat, you can clearly see I’m fat, let’s move on from that and see what we can do to make sure that I can have a healthy life and pregnancy if and when I become pregnant. I’m a size 24 and my husband and I have been planning on getting pregnant. I have tried to do my research and I have definitely felt ashamed for even THINKING of getting pregnant at this weight from all of the things I have read out there. It’s articles and websites like this that help me realize that I can do this if I remain mindful and treat my body with love and respect before during and after pregnancy. Thank you for being a light in the dark! You’re so welcome and I’m glad you feel less alone! 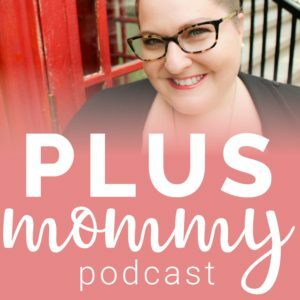 Be sure to connect with our communities online like @plusmommy via Instagram. Wish you and your husband all the best on your TTC journey.